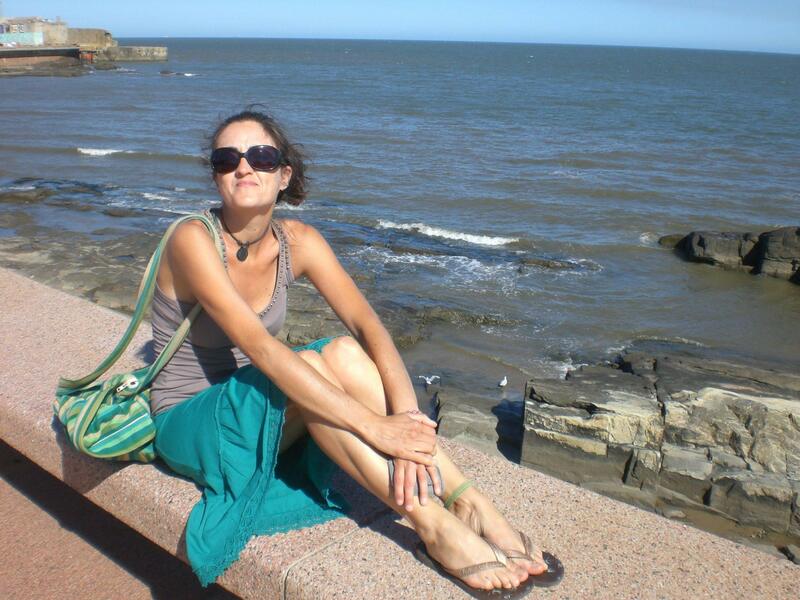 I have travelled so much since I was a child that even before going on my long term trips across Central and South America I thought of myself as an expert and independent traveller and as someone who knows how the world works. I’d back up my opinion of myself using my academic background in international human rights law and my many travels, throughout Europe and beyond, whether of a few days or a few weeks, as examples to prove what I said and thought. I really felt I had a good idea of how most people live outside the Western world. I was surely convinced that as a backpacker, it would be a good practice to have a strict schedule with carefully planned days so that I could see more places and do more things. I enjoyed spending my time before a trip making minute preparations that included checking the bus schedules and the opening times of a museum, whether I intended to visit Valencia or to go to Peru. Do I not look like an experienced traveller? 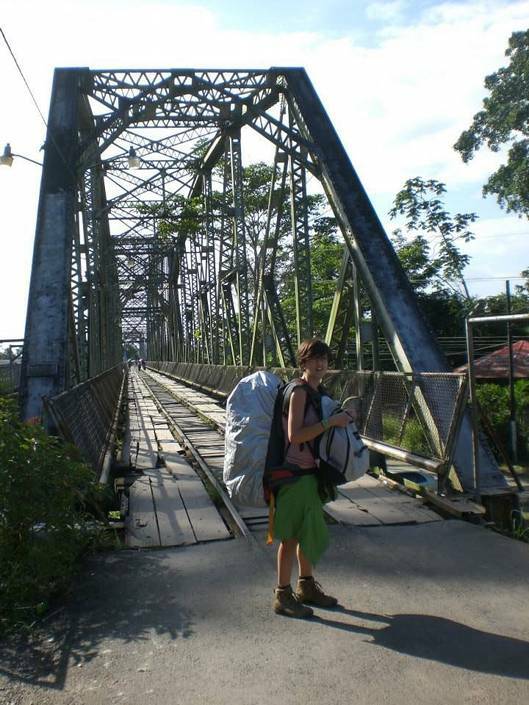 When I gave up my academic career and started my first long term backpacking trip through Latin America, I actually realised that I knew very little and had an eye opening experience. The things I have learned in those months of travel through that incredible continent I would have never learned even if I kept reading, studying and watching as many documentaries as possible. I had to come to terms with some aspects of my personality that I wasn’t aware of; I changed my perspective on what travelling really means and I finally started understanding much more of the world. So, here are the eleven things I have learned in my wanderings across Latin America. 2. When I gotta go, I gotta go. 3. There is no way I will ever be able to stand cockroaches. 4. I don’t really have to be obsessive with planning. 5. Life changes depending on how we look at it. 6. What is hell to me, may be paradise to you. 7. It is actually ok to trust people I don’t know. 8. We should never hide our identity and we should preserve our traditions. 9. Culture and traditions are actually profitable. 10. In 2015, not everybody in the world has access to potable water. 11. There are poor people who are way happier than wealthy ones. I always start thinking about what to pack well before I actually have to leave. I make a list of things I must carry, and then pick my clothes. Each time, I carry less. I have even resumed to buying only black socks, so that if one breaks while I am travelling, I only have to throw away that one and not the pair. I have actually understood that I don’t need to carry that many clothes, because I am not going to attend gala events or fashion shows. I have managed to come to terms with the fact that one pair of shoes is enough, and that nobody will think less of me if I don’t wear something different every day, as long as my clothes are (sort of) clean. The problem is that I like shopping at markets. I love ethnic stuff. And I like buying presents for my family and friends. So, on my last trip I ended up carrying up to 18 kg on my back, when I filled my backpack with a bottle of Mezcal I had bought in Mexico (by the way, who drank that?) and two bottles of Malbec I bought in Argentina. Way too much to carry around. I promised myself not to ever buy so much alcohol again. Or to drink it so that I don’t have to carry it around. I could hardly walk with such a heavy backpack on my back. Have I learned my lesson? One big fact I have learned in my travels is that I can pee anywhere. It actually is a skill I am quite proud of. It’s more than just going to the loo when it is not so clean, or in sharing a bathroom in a hostel. It even goes beyond the peeing in the nature concept. I have peed behind bushes, in coconut shells (yup), on a hole in the ground covered by some wooden boards, in the (dark) toilet of a moving bus, in the hole of the helm on a sailboat in the high seas. I challenge anybody at saying they can do the same. Or spiders. Or rats. I can adapt to weird toilets, uncomfortable beds and I can sleep almost anywhere. The almost means I have to strike out places that are infested with cockroaches, spiders and rats. I just can’t take them – try as I might, if I know there is a cockroach in the room, I have to leave. It is a matter of survival. It’s either me or the cockroach. I respect its space and would like it to respect mine, but since I know for a fact that cockroaches have a reputation of invading other people’s vital space, I pack my stuff and go, exclaiming in defeat: “Ok, you win!”. On my first trip to Cuba, I was so obsessed with the idea of “making the most of it” that I thought the only way I could have a full experience was by following my plans minutely. Then, I was crushed with the Cuban system. No wi-fi, no booking system, no computers, no facebook: I had to improvise or leave. I decided to stay, do as the Cubans and stop having arguments with the locals who had apparently joined forces to boycott my plan to visit their country. 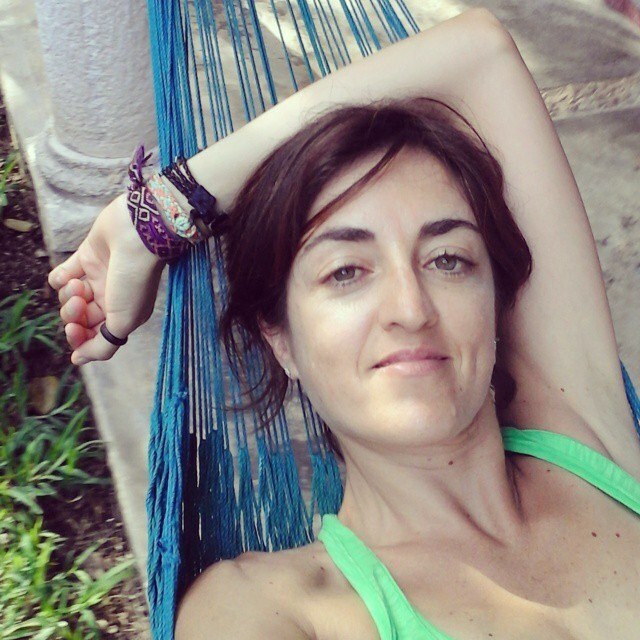 When I eventually started going with the flow and relaxed, I felt liberated and I enjoyed Cuba so much more. I never get on a crowded train or bus in Europe. If the London Tube approaches and I see that the train is packed, I resolve to wait for the next one, I get annoyed and I make a mental note to write a complaint to the company. 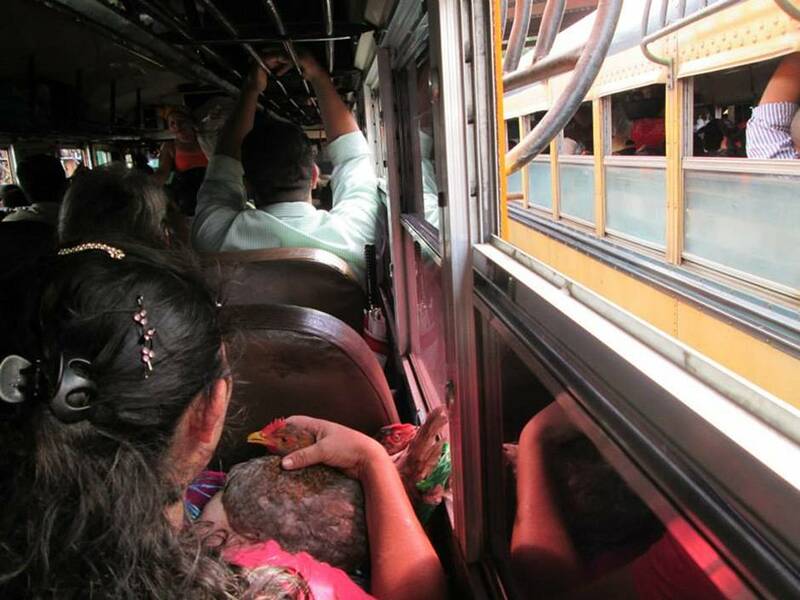 In Nicaragua, packed chicken buses are part of the fun and I find the whole thing a good way to get in touch with the locals – quite literally so. I end up taking pictures, having a laugh at the lady that gets on with a basket of live chickens, and eventually even write a post about it. Same thing with the timings. The train is late in London? I want my money back! The bus I need to take to get back to Lima is not running that day, for whatever inexplicable reason, is not running at all? I shrug it off, spend an extra night in the village and go meet some locals. I have travelled to certain places because anybody I met told me they were amazing and I should visit – only to find out that I could not see what they saw in them. My friend had a fantastic time in Bocas del Toro, Panama. I was completely disappointed when I saw it with my own eyes. Then I have been to places that are not even on tourist maps and fell in love with them. People’s opinion should only matter so much when picking a place to visit, because what moves one person’s emotions won’t necessarily cause the same reaction in me. 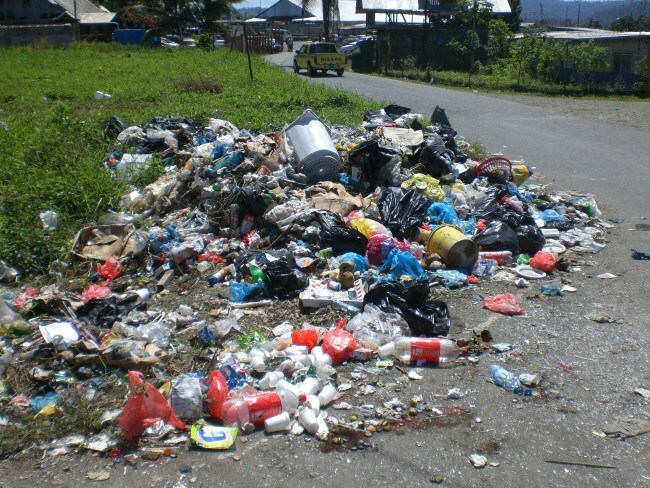 Bocas del Toro main attraction? Whenever I travel to some exotic country, my family and friends warn me to be careful, watch out and don’t trust strangers. I get back, and people ask me if I have experiences any danger, if I ever was afraid, if Ecuador/Honduras/Guatemala are as dangerous as people say. I was either very lucky or very oblivious to my surroundings, because not for a minute I felt in danger during my travels. Quite the opposite indeed. I have met some truly kind people in Central and South America, that have gone above and beyond what was reasonable to help me out. For example, a stranger in Costa Rica saw that I needed a toilet and could not find one, and showed me to her home so that I could use hers. 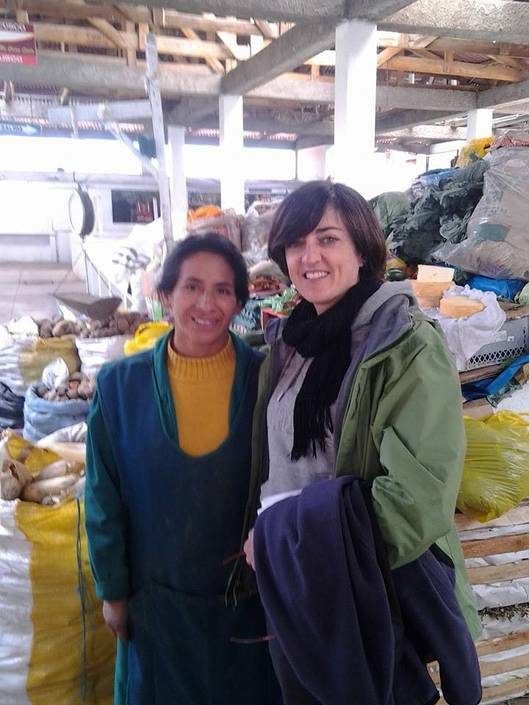 Or another woman at a local market in Peru crossed the city to look for some herbs to prepare a tea that would help my sore throat – and she would not want a penny in exchange of her efforts. People all around Latin America – from Mexico to Peru, from Guatemala to Bolivia – proudly wear the symbols of their identity. Whether it is a traditional hat, a beautifully embroidered skirt, golden teeth, tresses or other particular hair-dos, they do all they can to protect their culture and pass it on to future generations. It is a notable effort at preserving and protecting identities. I used to be a human rights lawyer and I have spent years researching on how to protect cultural identity. 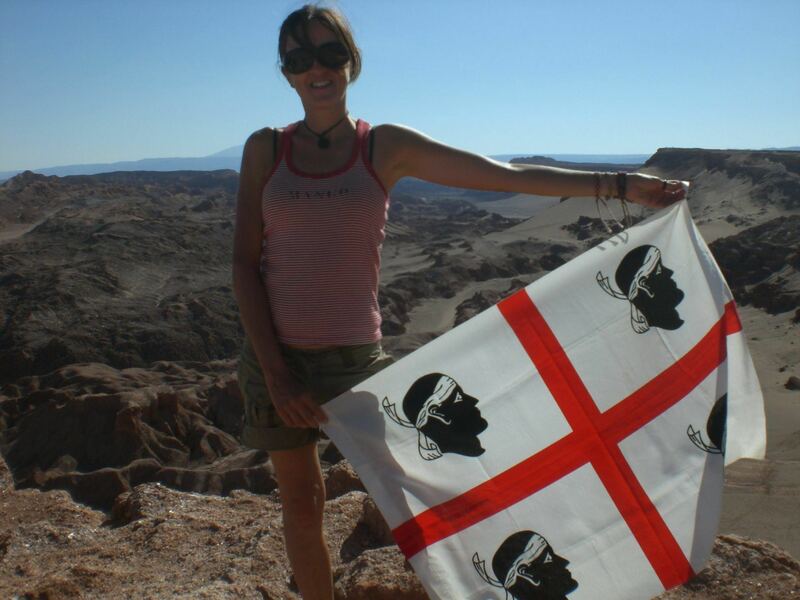 I also am a member of a minority in Italy: I can’t stand racial discrimination and don’t appreciate the subtle attempts of governments’ to wipe out entire cultures for the sake of so-called progress. Integration can’t and won’t ever mean assimilation. One thing I saw in my travels in Latin America is that indigenous groups hold on to their traditional sources of income. 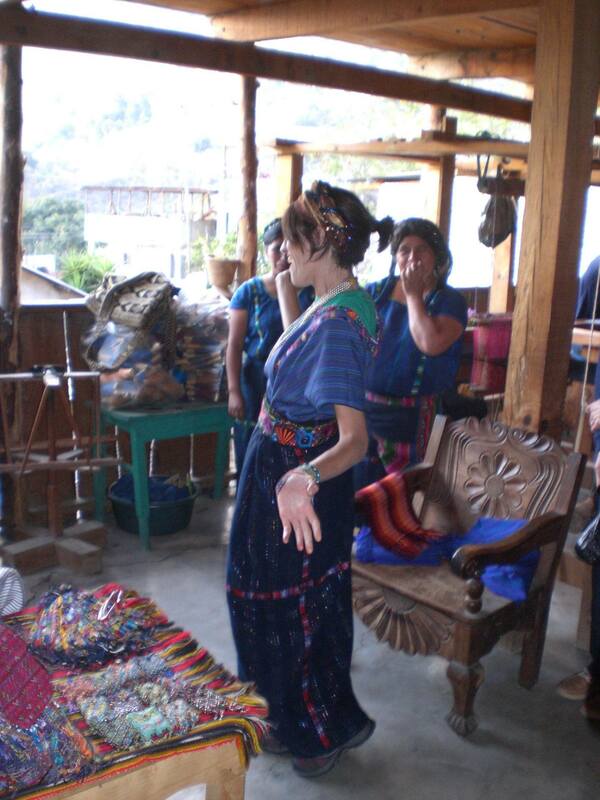 Women in Guatemala have created cooperatives to keep their traditional occupations: they weave, they sell their works and they even organise workshops and demonstrations for visitors. Their businesses are successful. A sign that a possible solution out of the major financial crisis that Sardinia and Italy are facing may be in returning to their ancestral traditions? Tap water is safe to drink all over Europe and North America. Yet, we have an incredible offer of bottled water; tv advertising that shows the benefit of one specific brand for having low sodium, for being bottled in recycled plastic bottles, for coming from the highest mountain source in Europe and what not. In most of Central and South America, it is not safe to drink tap water. Most people can’t afford to buy bottled water and have to vigorously boil tap water to be able to drink it safely. Malnutrition is hardly due to lack of food or to poor quality food, but is generally caused by contaminated water used for cooking and drinking, whose bacteria cause bad infections and diarrhea. We take right to water for granted in Europe and North America, but for most of the world it is still a dream. I came across shanty towns. I met people who, despite the fact that they lived in what to me was no more than a shack, gave all signs of being happy: they laughed, they smiled, and they enjoyed life. For example, I never really enjoyed Christmas – all the frenzy to buy presents, to sit around during endless meals, to meet those relatives that ask the same, annoying questions every time. Then I ended up in Ometepe, Nicaragua, and on Christmas day I was caught up by a thunderstorm. It was raining so hard that walking back for 45 minutes to get back to the hostel was not an option. The first shelter I found was in what I soon realised was someone’s home. A group of people were sitting in the patio, enjoying the day singing and playing the guitar. I ran into their place, said “Merry Christmas everyone” and after a blank stare that lasted no more than one second, they just offered me a chair and went back to their singalong. They seemed poor to me and I am pretty sure they had not been exchanging presents that day. Their only wealth were probably the chickens roaming about in the patio. Yet, they seemed way happier than most of the families I know that live a comfortable life. I think apart from all the inward, personal things travel has taught me about myself, it is the raised awareness of so many issues that have shaped my thoughts and beliefs today. Wildlife conservation in particular, but also as you say such simple things as water and how we can take things for granted. You are shaped by the places you visit, the things you see and the experiences you have, so you may as well make them worthwhile and travel! I have learned much more about life, human rights and protection of cultural identity in my travels than in my (MANY) years of work as an academic and human rights lawyer! These are all great learnings. My husband and I travel to Central America a lot. So far I’ve been to Guatemala, Belize, Honduras and Nicaragua. We have found the people there to be wonderful and their simpler way of life refreshing. Nicaragua is… by far my favourite! Yea, I agree with your life lessons. I’ve learned some of them myself, although not in South America. The last one is the one that still haunts me, because my observation is that more money means almost always less peace of mind. I agree 110% on the cockroaches! They’re up there with bed bugs! Not in my list of favorite things haha! This is such a great and insightful post. You certainly had some life changing experiences in South America. Your christmas in Nicaragua sounds heavenly. I’m definitely with you on the backpack weight. It was one of the first things we learned and just won’t do anymore. Also, cockroaches are just no bueno. They gross me out. As simple as that. Great lessons. Funny how living and traveling in South Caucasus has taught me pretty much the same things. I’m totally with you on 4 and 7. I am SO with you about the heavy backpack, and also the cockroaches. I’ve managed to trim my belongings down, but it’s still a challenge for me to leave with any space in my bag! I seem to just fill it up no matter what. I can also say that although cockroaches don’t freak me the Hell out as much as they used to, we’re never going to be friends. So there cockroaches. No kidding. I can’t take them. Weight is why I have a two step packing system. The first step is to pack everything, I think I need. Then I unpack it. I remove half and then repack. It usually gets me down to the bare bones. Beautiful post, really. I’m looking forward to exploring more of Latin America the way you have. I totally agree with what you said about how people’s opinions should only matter so much when it comes to choosing things to do. I’ve gotten so many high recommendations that ended up disappointing me, and on the contrary I’ve been warned about places that were “boring” “dirty” or “dangerous” and loved them! You will be amazed when you go! Very well written piece, it really goes to show how much travelling affects both our hearts and our minds! I also loved watching indigineous people making money from their craft. The way they embrace their heritage post-colonization is beautiful! Peeing and… not just that! #12: If you want to see why income inequality is a bad thing, travel in Latin America. I never encountered crime and violence like the media magnifies just as you did, but after seeing wealthy neighborhoods with first world infrastructure, and then seeing shanty towns that were unquestionably third world in terms of their services and collective wealth, I can understand the reason for the danger in some parts of the region. Yes, poor people are happy, but they’d probably be even more so if they had access to potable water, health care, and a fair wage. Sorry to get a bit political, but that’s my biggest takeaway from my time here, as I don’t want my home of Canada to slide towards the polarized divide between the haves and the have nots. My dear James, you are 100% right. And, if I can add – polarization is the direction that many EU countries have taken lately, especially Italy. A wealthy north, and impoverished regions in the south (I am from Sardinia, which has been greatly affected by the credit crunch). Loved the last lesson! People always thinking have more is better, but it doesn’t always buy happiness. I also love what you had to say about cultural preservation and how women in Central and South America have successful cooperatives!